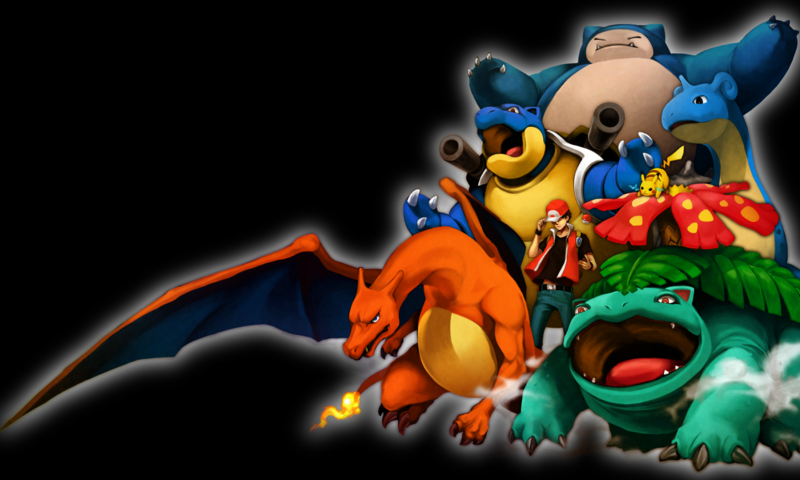 Pokemon collectors collect many different things. Figures, cards, promo cards, plush toys, pokedolls, charms, keychains, and much more. I collect Pokemon canvas plush toys. Canvas plush are different from normal Pokemon plushies, tomy plush toys, pokedolls, and other stuffed toys. The Pokemon canvas plushies are smaller than most of the other Pokemon stuffed toys that you will find. Since they are smaller, they seem to have more detail. Take the Eevee evolution canvas plushies for example. They are some of the nicest ones I have ever seen. They cost a fortune at the moment because of their popularity and the fact that they sold out back in 2009. But these are worth every penny. They are so small and cute. The eyes are the best part. Each character has very nicely stitched eyes. In addition, they are put together really nicely. Not like some of the cheaper made plush toys that you will see. The seams are nicely put together. There is no loose thread or bad sewing. True, they are quite small when compared to other plushies, but then again, the best things don’t always come in large packages. Pansage is a grass type and is one of the three monkeys found in Pokemon Black and White. It’s also known as Yanappu in Japan and is the main Pokémon Dento has in the anima. It has strong attacks like seed bomb and acrobat and can evolve into Yanakkie through the use of the leaf stone. Pansear is a fire type and is one of the three monkey Pokémon. It’s known as Baoppu in Japan, and knows powerful attacks like bursting flame and fire blast. It can evolve into Baokkie if you use a fire stone. Panpour is a water type and is one of the three monkey Pokémon. It’s also known as Hiyappu in Japan, and has strong moves like boiling water and brine. It can evolve into Hiyakkie by using a water stone. Snivy, also known as Tsutarja in Japan, is one of the best grass starter Pokemon yet. Not only does it know strong grass moves like leaf blade, leaf storm, but also some new attacks like grass mixer, and grass oath. In its final evolution, it looks like a snake, loosing its limbs in each stage. In the anima, Ash owns a female snivy, shown to be very powerful. Oshawott, also known as Mijumaru in Japan is a Water type Pokemon available in Black and White. It’s known as a sea otter that has a shell it can detach from its belly to use to attack or defend itself. It has powerful attacks such as shell blade and aqua tail, and can learn the move water oath. It also appears in the anima, being one of the Pokemon Ash caught in the Unova region. Tepig, also known as Pokabu in Japan is a fire type. Known as the pig Pokemon, it has strong fire types attacks like nitro charge and heat stamp. It can also learn fire oath, an attack if combined with another oath attack can change the field. It’s also one of Ash’s Pokemon he caught in the Unova region as well. released in 2010, before Christmas about a month after each other. evolution plush; smallest to biggest (you can see this in the photo). So, whether you are reading this before or after the ‘Pokemon Card Collecting’ article, this article is meant to provide some encouragement and reasons of becoming a collector. Collecting is a hobby! It gives you plenty to do, which are described across the next few sections. It’s fun, and certainly is rewarding. Yes it can be repetitive, but I, and many others, firmly believe it is worth it. I have yet to meet an unpleasant collector! Of all the people I have talked to through my years of collecting I haven’t met anyone who I haven’t liked. Of course, you don’t generally talk to eBay sellers, but members of communities such as http://community.livejournal.com/pkmncollectors/ are very nice. 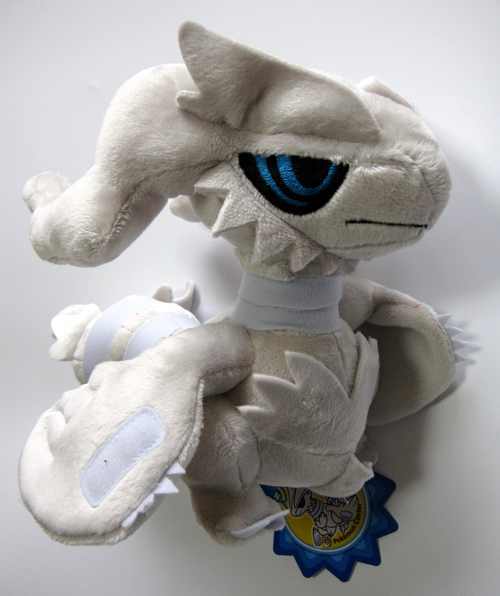 The Pokemon Centers in Japan have released two new pokedolls, Reshiram and Zekrom. These two new pokedolls are bigger than the normal pokedolls. 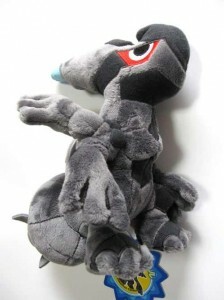 Similar in size to the DX pokedolls of Dialga, Palkia and Darkrai that were sold back in 2007, but slightly smaller. They are about 2-3 times as big as a normal pokedoll. And here’s how to catch it. First, you need a shiny Raikou, shiny Entei and shiny Suicune. At the special event at game stop you cannot get Raikou or Entei because that dates have already passed, but Suicune is still open. He appears on Jan 31st, 2011 through Feb 6th, 2011. Luxray GL lv.x, the most difficult Lv.x to get is commonly referred to “the best card in our format”. Well to be honest I disagree, yeah I know some people will think differently to me but seriously I disagree completely. I’m going to go over the pros and cons of this card and overall answer “is this card worth getting”. First let’s go over the card in general. It’s poke-power Bright Look is probably the best poke-power in the game. It lets you pick one of the opponents benched pokemon and bring it up to the active spot. This can really annoy your opponent by bringing up a pokemon with a high retreat cost. You can also bring up a pokemon with low hp and K.O it. Now the attack is where this card puts me off a little. It’s attack Flash Impact does 60 damage with a lightning energy and a energy gain but it also does 30 damage to one of your bench pokemon. This is terrible with cards like garchomp c lv.x in our format and even doing damage to your pokemon is bad overall. Another bad thing is the cost of the card itself. People are selling them for $80 each which is over the top.